Pope Francis' Amore Leatitia "the Joy of Love" was signed on 19th March, the Solemnity of St Joseph. He opens his lengthy but insightful Apostolic Exhortation on "Love in the Family" by writing, "the joy of love experienced by the families is also the joy of the Church". He underlines the concern of the Church for the family, especially in this age where families are confronted with many challenges such as: poverty, migration, weakening of faith among the youth, domestic abuse and many others. It is in this spirit that Newton Parish is initiating a "Christian Family Life Program" to offer family members opportunities to grow deeper in their journey of faith. The program offers moments of grace to family members. The grace to value the gifts of marriage. The grace of a renewal of commitment to marriage. God offers virtues of generosity, fidelity and patience. God Offers every member of the Family a reminder of of His Mercy and His closeness whenever family life remains imperfect or lacks peace and joy. ... new to the faith? ...feeling a bit distant from God? ... looking for spiritual boost? ... keen to learn more about God? ...wanting to spend some time with the Lord? Couple for Christ Australia is a Catholic Community committed to supporting authentic Catholic family life whether single or married - through Prayer, Service, Study and Friendship. We have members from Primary school age to the elderly embracing every stage of human development. The Program is for the benefit of the parishioners and there is no cost to the participant of the program. The program will run from: 2.30pm-5.00pm on consecutive Sundays beginning June 19th, 2016. It concludes with a social gathering August 28th. "I came to the program at the insistence of my wife. I stayed for the whole duration of the program because I found that talks had so much relevance to my so called faith or lack of it. From the program, I came to know that God loves me in spite of what or who I am. I learned to know more about God and to listen to Him through the Scriptures. It taught me to establish a personal relationship with me creator. Overall, it has turned my life 180 degrees for the better. The transformation that I experienced had positive repercussions in my life, in my family relationships and with those I come in contact with" Ben R.
"I heard things I didn't know. It was interesting. people were very friendly and nice. I felt welcomed and reassured as these were people I knew and respected. From this program, I made new friends, discovered a new awareness of Jesus in my life, started to read the Bible. It deepened my faith through the sharing of experiences of other people"
A ten week program to help you to understand and to live your faith more deeply. God's Love: Teaches us about how God loves us and His plan for our lives. Who is Jesus Christ: Many of us will be surprised to learn even more details about Our Lord Jesus. What it means to be a Christian: There is more to being a Christian than most of us think. Repentance & faith: The fundamental reason God sent His only begotten Son. Christian Ideal of Loving God: An understanding as to what Loving God means to our lives. Loving your Neighbour: Being a Christian is more than accepting Christ. It has ramifications to how we live our life out in our world. The Christian Family: The family is the "Domestic Church". Life in the Holy Spirit: Learn about the power that we receive through our confirmation to live out our Christian life. Growing in the Spirit: Learn how to grow in the love and the power of the Holy Spirit. 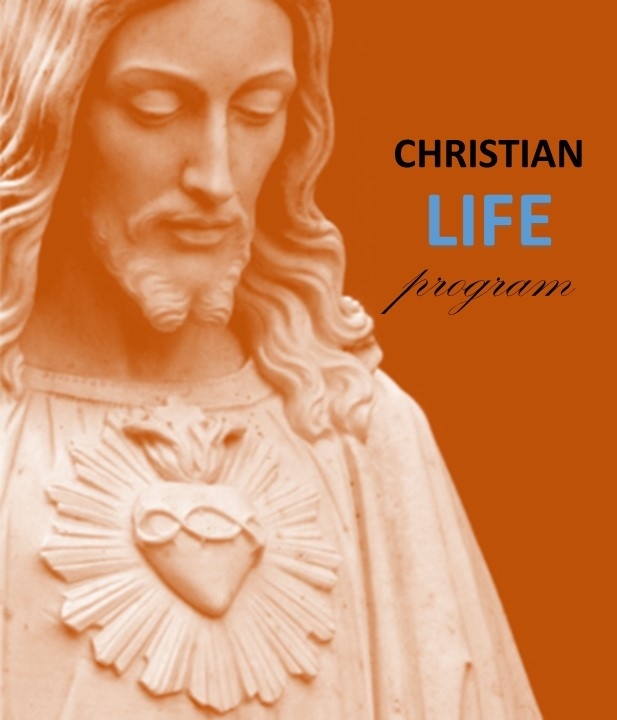 Life & Mission of CFC: Hear about how you can continue your growth as a Catholic Christian. Transformation in Christ: Where to next? Whether single, married, divorced, young or elderly. All are welcome and sincerely invited.